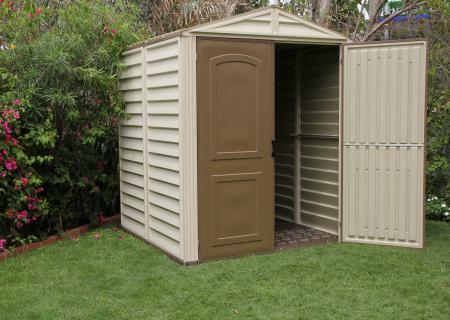 Our goal at Cheap Sheds is to supply the widest and highest quality garden shed range to our customers with great old fashion customer service. 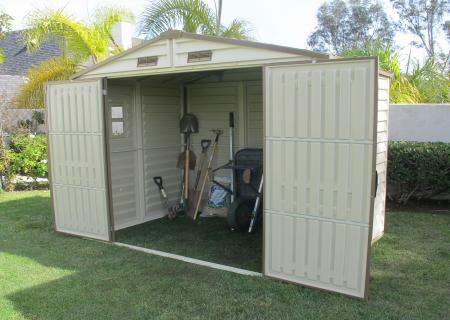 Duramax sheds are made in the USA from durable all-weather vinyl in neutral ivory colour and come with 15 year warranty. They don’t require concrete slab as the Yardmate models come with moulded floor already included in the shed kit and all the other models have optional foundation kit available. 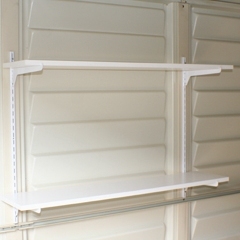 They are very easy to put together, the assembly process can be done in 2-5 hours by 2 people even with the larger sheds. For extra strength and durability, the wall columns are reinforced inside by a solid metal structure and it can be also used to hang gardening tools on or even shelves to keep your shed very well organised. They don’t require any maintenance and they never rust, fade, dent, rot or mildew plus they are fire retardant. 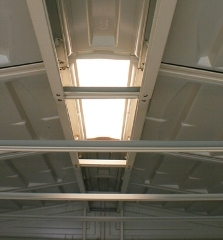 All of the models except the Sidemate come with a bonus skylight sheet to let natural light into the shed making it easier to work in it or find things in your shed. 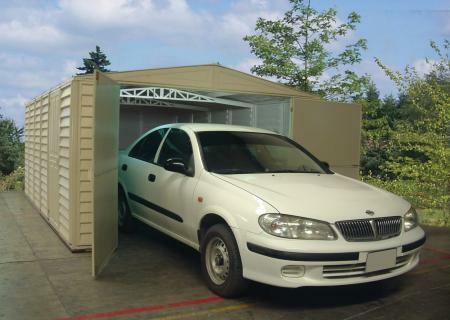 While the Yardmate models, the Duramate and the Woodbridge sheds have a gable roof, the Sidemate storage shed is a skillion roof which is designed to be placed next to the house and its door can be installed on either end making it suitable for every need. All units come with wide door(s) for easy access and door handles are included in the kit! 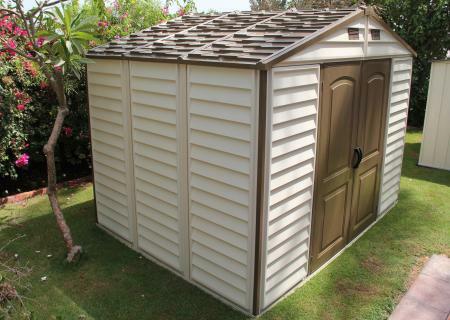 These sheds not just solve your storage problems but their attractive design will be a great addition to any backyard environment. 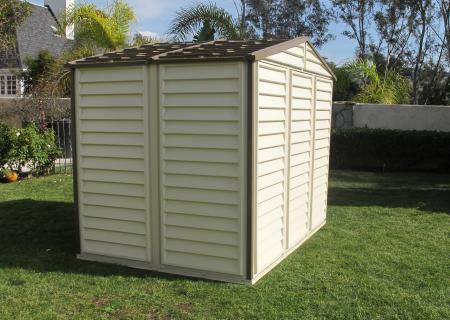 If you have any questions about these vinyl sheds or any of our other products please feel free to contact us through our live chat or through our contact us form on www.CheapSheds.com.au or give us a call on 1300 920 219. Thank you, Kristian and your team – our lovely new Duramax shed turned up at our front door very promptly after ordering. We could track its delivery progress too, which was great. The only slow thing now will be getting time to put it up!! Awesome! Thank you Jane for letting us know, really appreciate it! All the best and thank you once again for the comment. 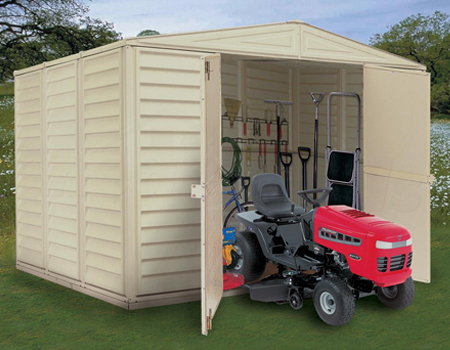 Please give me a contact phone number to order the Duramax ‘Sidemate’ shed please. Thank you for the comment, we’re out of stock on the Duramax sheds and they are not available at the moment Australia wide as far as we know. 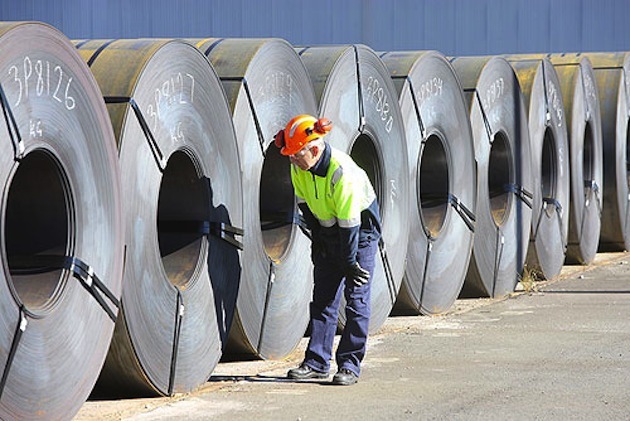 There is a shipment on the water already coming from the factory in the USA and should be here in a few weeks time. Hi there , Could I be contacted when your Duramax sheds become available. Thank you for your comment. I’ll put your name in my tickler so when stocks for Duramax sheds arrive, we can inform you. 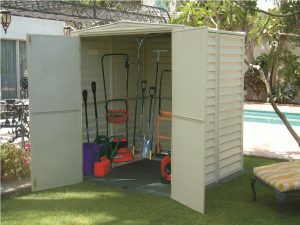 Also please feel free to drop by our website to check on this regularly, http://www.cheapsheds.com.au/garden-sheds/vinyl-garden-sheds.html. We have some great news for our Duramax Garden Shed fans… We have just re-launched our Duramax products and have added some new ones to our stock. We now offer 8 sheds in different shapes and sizes and even a garage! Hope you love them just as much as we do! And if you have any questions just leave a comment or give us a call and we will help you out as best as we can. Michelle Sperinck @ Cheap Sheds.